Nice, soon as lakes free up here I'll be after them. Just how long do you get for lunch on Fridays anyway? Anybody checking your time sheet? Nice Eye by the way. Open. I'm done with ice! Sweet! I'm headed to Australia tomorrow, (Gold Coast) I'm sure ice will be a distant memory when I return. Sweet! Have fun- Hammer a couple Fosters, Mate! Very nice eye, I can't wait to get out on the boat at Jumbo and get into some. 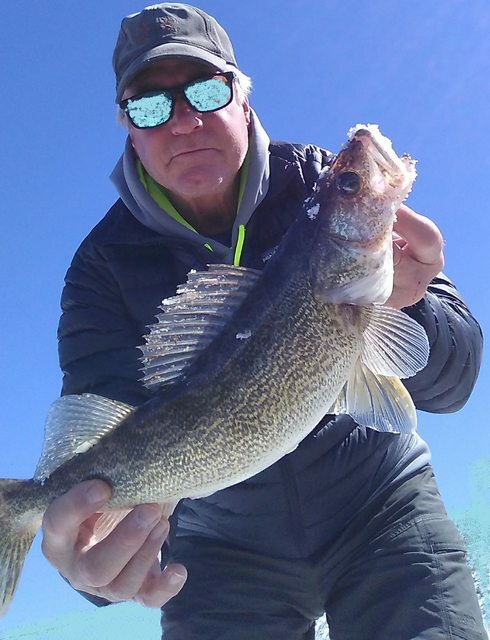 I will eat my first walleye this year, it's time i think. Been to many restaurants and pubs around the area, have yet to see Fosters. Wonder if they still even still brew it or was it just a figment of our imagination. Looks like craft beers have taken over everywhere! How bout a VEGAMITE sandwich? Not a bad problem. Good brew is good to find! Have some fun for me, my friend!